An article that has been kindly reproduced with permission from it's author, Dr. Nancy Kay and via a wonderful veterinary-based blog called Pawcurious... something to think about and to consider when choosing your veterinarian. I recently exchanged emails with a woman who was feeling frustrated while searching for a new veterinarian. Her search included some "fee shopping" and she was disgruntled to find that some vets had the nerve to mark up lab fees more than others. She wrote to me to find out how she might gain access to the fees charged by commercial veterinary laboratories so she could figure out how much mark up each veterinarian applied. She mentioned that she'd found one vet she really liked, but she was "out of the running" because her office charged double the lab fees (exact same test) as two others she'd investigated. Here's how I responded. I encouraged my email buddy to consider reasons why fees are not uniform from hospital to hospital. In some cases, laboratory testing is run "in house" requiring on site technician time and costs involved in maintaining equipment. Certainly fees for this should be higher. The expertise a veterinary specialist brings to interpreting laboratory test results may be greater than that of a general practitioner. Shouldn't a client pay more for this? Additionally, every clinic must pay its overhead to continue to provide good service, and the more "bells and whistles" the hospital has, the higher that overhead will be. For example, if the hospital employs sophisticated equipment to monitor anesthesia, that's a really good thing, right? Chances are, the fees for surgery there will be higher in order to cover the costs of this advanced level of care. I went on to explain that I truly discourage people from price shopping when it comes to veterinary care unless it is an absolutely necessity. A sweet six-month-old Labrador is currently being treated at my hospital because she sustained a horrific thermal burn all along her back from a faulty heating pad used during her surgery at a low cost spay/neuter clinic. This has necessitated major reconstructive surgery over her back- a tremendous price to pay both in terms of money and what this poor dog is going through. By the end of our email thread my correspondent seemed convinced- she told me that she'd decided to use the vet she really liked in spite of more expensive lab tests. Hurray! Do your best to avoid sacrificing quality of medical care. The old cliché, "You get what you pay for," is often true. Be thorough in your investigation: don't make up your mind based on brief over-the-telephone price quotes.  Visit the clinic, tour the facility, and meet the staff to feel confident this is a place you and your pet will feel comfortable. Watch for "hidden" fees. Some clinics may offer an extremely reasonable quote for a surgical procedure, but then charge additional fees for the initial office visit or for post-surgical necessities like removing stitches. Keep in mind the potential for complications. If a significant complication occurs due to substandard care (such as occurred with the Labrador mentioned above) you will end up spending a great deal more money treating it (not to mention associated emotional energy) than you would have spent at the better more expensive clinic to begin with. When you chose your veterinarian, were fees a consideration? Please share your experience.